Since late January, what began as a dispute over land rights between the Nuer and Anyuak ethnic groups has spread in Gambella region of Ethiopia. Clashes between different ethnic groups in west Ethiopia left 14 dead this weekend, while UN and MSF offices were targeted by angry protesters. 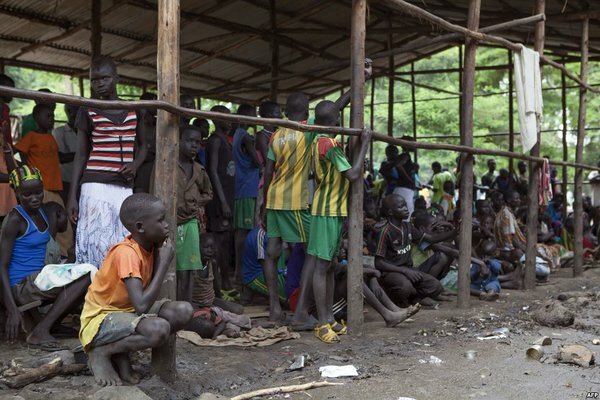 Tensions have been rising these past months in Gambella, the region which has a population of 300,000 but has taken in 270,000 mainly Nuer refugees fleeing the conflict in neighboring South Sudan. “But there’s also growing discontent towards the government and the lack of response from the international community,” Lawson pointed out. The UN is also part of the problem, according to Metho, because they are “dumping” refugees there. The refugees and the local people do not have anything in common, there is no peace between them, he said. “Will the peace process in South Sudan solve the Gambella issues?” asks Christopher Clapham, from the African studies at Cambridge University. “Quite probably the opposite. Gambella has its own internal conflicts, notably between the Nuer, that’s to say Riek Machar’s group, whose main population is in South Sudan, and the local people, the Anuyak, whose population is almost entirely within Ethiopia. “We hope that peace is going to be established in South Sudan. We believe that with the international community’s support of South Sudan, that will resolve the conflict itself,” Angele Djohossou, the Head of the UNHCR Gambella office, told RFI.